Greetings! I hope that you and your loved ones had a great Thanksgiving. In this season of giving thanks, I am grateful for the interest and support that so many of you have given to Holsten Galleries over the years. I am especially grateful for all of the artists that I represent, some of them for nearly forty years. Harvey Littleton used to talk about the three-way artist-gallery-collector partnership and for this we can all be thankful. This is one of my all-time favorite Lino works! It has a quiet type of drama that is dazzling to the eye and yet also peaceful in feeling. The colors are sublime and the cane work superb. 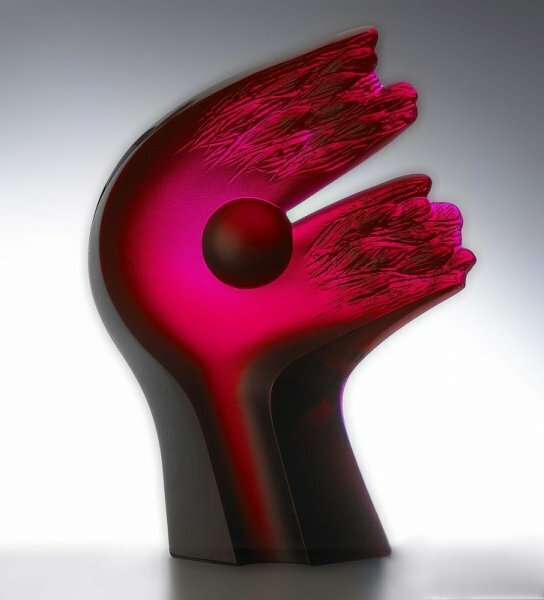 This cast glass sculpture by California artist Latchezar Boyadjiev has great depth and beauty. The organic form is highlighted by sections of dark and light, all effects of the light passing though thicker and thinner depths of red. 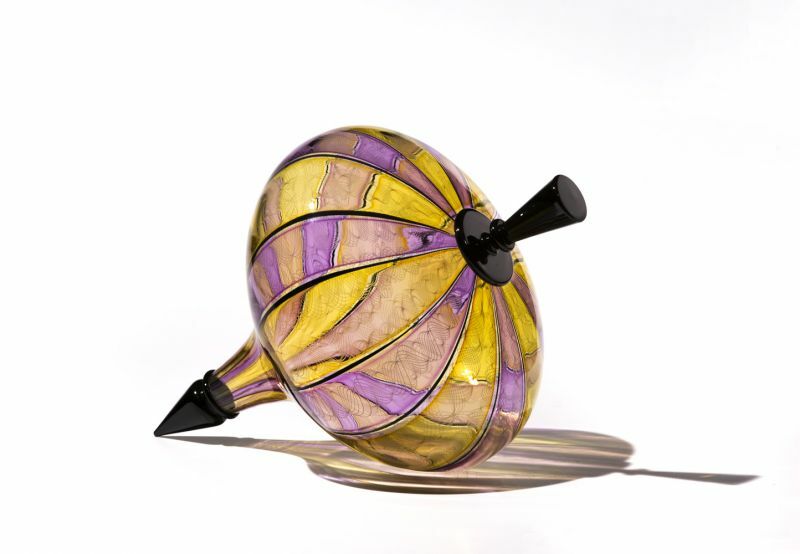 One of my favorite series by Seattle based glass artist Nancy Callan is her "Top" series. And one of my favorite works from that series is "Elizabethan Top." I particularly like the complimentary colors Nancy chose for this piece. The thin, intricate white cane work adds a subtle grace to this wonderful piece. First of all, if you are curious as to the title here, these initials stand for Twisted Abstracted Strip Vase. This title might give you some clues as to how these beautiful forms are created. 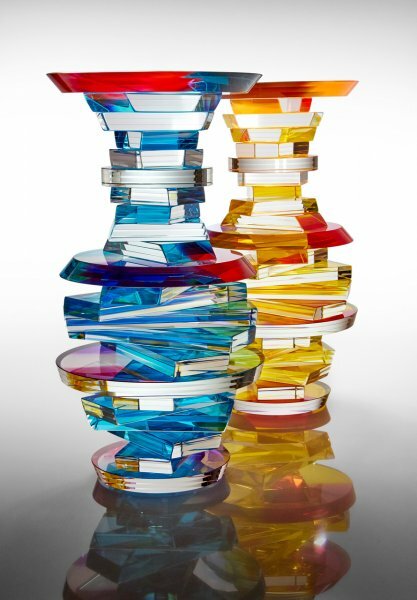 Sidney cuts strips of clear glass and bonds them together one at a time with colored adhesive to create these helix-like forms. When you look at these works straight on they appear to be totally clear. As your view shifts up and down, the color seems to fill and then empty from the sculptures. 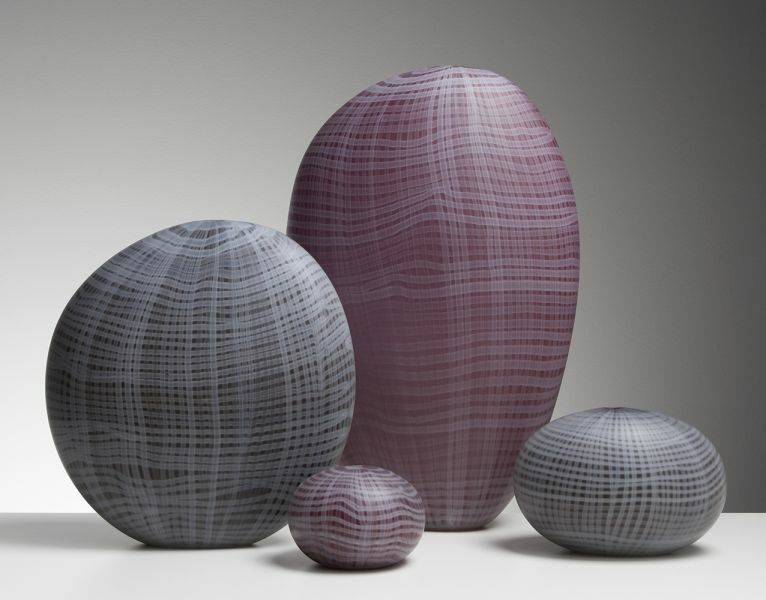 Australian glass artist Clare Belfrage is well known internationally for her subtle yet powerful "paintings" of glass on glass. In this grouping, one can appreciate the intricacy of the subtle, understated lines and palette that Clare employs to create these masterful works. This new work by Preston Singletary is one of the most unique pieces I have seen by this artist. The red portion is an abstracted depiction of the killer whale which is the totem animal of Preston’s Tlingit clan. 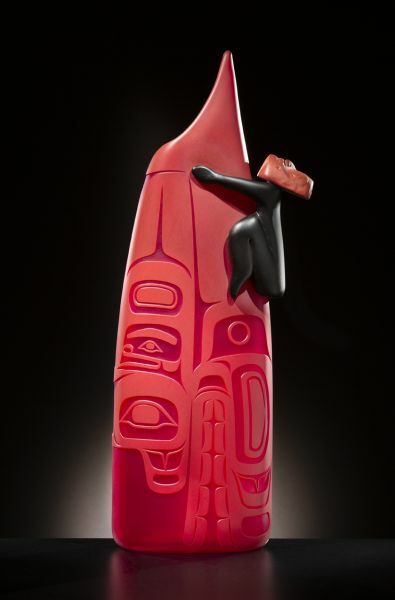 The ancestral figure in Tlingit mythology is both the god/creator of the killer whale and the killer whale rider. Thanks for taking some time to enjoy this edition of Holsten Galleries News. 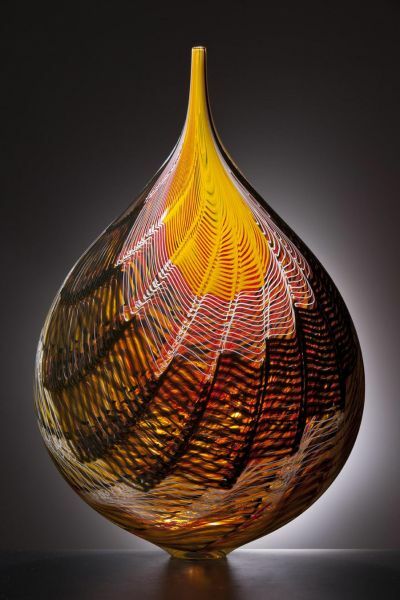 I hope your day has been uplifted by sharing these beautiful works of glass art. I look forward to staying in touch.